We hired Gleeson Electrical Services to locate the cause of an electrical fault in our apartment that kept causing the power to cut out. Despite it being a tricky problem, with no obvious cause, Justin persisted in trying to locate the fault using a process of elimination, even when we were ready to give up. The cause ended up being water getting into our stove top burner, which had an electrical starter button. If Justin had not persisted in ruling out every possibility we could have wasted a lot of money drilling into walls to replace wiring unnecessarily. I would recommend Justin without reservation. Not only did he save us a good deal of money, he was professional, courteous and extremely competent. In my current position, I help to manage a considerable and historical property in Sydney’s eastern suburbs that is one of the oldest in the area. Due to it’s heritage, the house constantly requires maintenance and conservation. These specialised services are provided by a group of gifted and skilful tradesmen who ensure the upkeep of this old building. We recently had major renovation work done to the house which warranted the use of electricians. Gleeson Electrical were referred to us by the renovation contractor as a reliable professional. From the outset they proved to be a true find: Managing a team he ensured that they were punctual (a big plus in my book! ), pleasant to deal with and completely reliable. Whilst the renovations were taking place it became apparent that we needed to overcome severe wiring problems which had been caused by pests chewing at the wires. Gleeson Electrical quickly assessed the depth of the problem, prepared a costed plan and included a timeline, so as to lessen the impact on the rest of the renovations. Over a period of 2 1/2 weeks they kept me abreast of the daily progress, helped me manage the requirements of a functioning house, offered practical and technical advice and suggested troubleshooting opportunities. The entire process was almost seamless and a pleasure to experience. By the end of the project the house was invested with a brand new electrical infrastructure which will enable the continued feasibility of this wonderful property. Gleeson Electrical Services have been my electricians for several years, servicing my portfolio of investment properties and my own personal home. 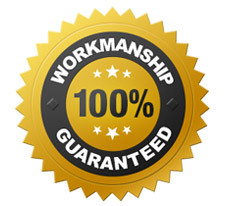 I have found them to be reliable, trustworthy and very professional electricians. I sometimes have work that is urgent and they always attempt to rectify any problems as soon as possible.